Regina Geoghan sent in these photos she took of butterflies at DeKorte Park earlier this week. We hope to see a bunch more on Butterfly Day this Saturday (July 30)! The free event takes place at the park from 10 am to 3 pm and includes butterfly walks and talks and plenty of activities for kids including a scavenger hunt and crafts. To register click here. 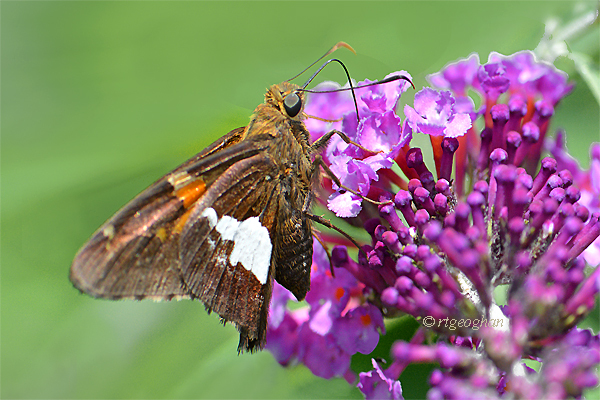 A view of a silver-spotted skipper butterfly nectaring on a purple butterfly bush. 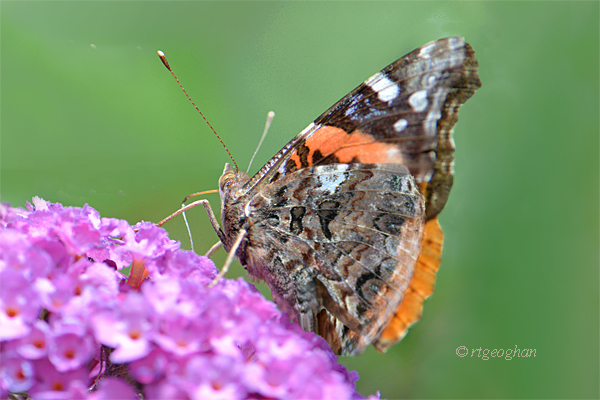 A side view view of a Red Admiral butterfly with closed wings on a purple butterfly bush flower. 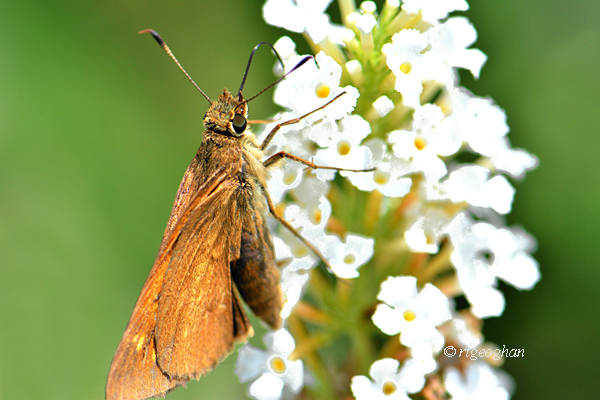 A view of a broad-winged skipper butterfly with wings closed on a white butterfly bush flower.